The Minnesota Mormon Chorale Has a New Name! After 15 years, the locally-renowned Minnesota Mormon Chorale and Orchestra is changing its name to “Minnesota Saints Chorale and Orchestra of the Church of Jesus Christ of Latter-day Saints” (or Minnesota Saints Chorale and Orchestra, in short form). This name modification, which drops the word “Mormon,” follows an August 2018 statement by President Russell M. Nelson requesting the use of the full name of The Church of Jesus Christ of Latter-day Saints, the choir & orchestra’s sponsoring organization, and helps to affirm the central focus of our faith, Jesus Christ. The name may have changed, but everything people love about the choir will continue to grow and expand. To coincide with the choir’s new name, its website address will be changed to mnsaintschorale.org and its Facebook page can now be found at fb.me/MNSaintsChorale . The Minnesota Saints Chorale is a 70-voice, auditioned choir comprised of musicians from the Twin Cities and surrounding area who share a love for singing and for Jesus Christ. Founded in 2004, the choir strives for choral excellence in singing a varied repertoire of sacred and secular works in both concert and worship settings throughout Minnesota. The choir has performed over 175 concerts with a repertoire of 250 pieces including major works such as Mozart’s “Requiem”, Mendelssohn’s Symphony No. 2 “Hymn of Praise” and Rob Gardner’s Easter Oratorio “Lamb of God”. In 2012, the Minnesota Saints Orchestra was organized to expand the sound, repertoire and mission of the chorale. The choir and orchestra value collaborative opportunities with other ensembles to build bridges of unity that inspire goodwill. 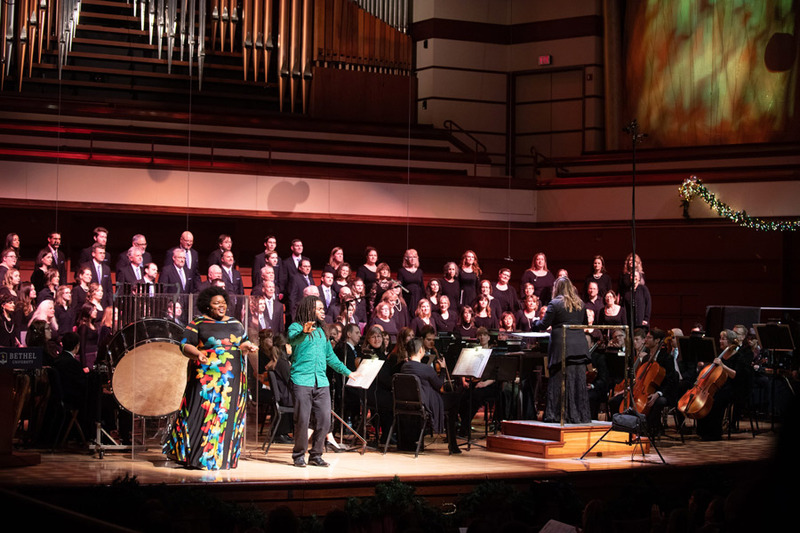 Some recent collaborative concerts include the Twin Cities Community Gospel Choir, The Hurst Family Experience, North Star Boys’ Choir, North Hennepin Community College Chamber Singers, the Choir of the Cathedral of Saint Paul, the Northern Lights Chorale and the Apollo Male Chorus. The choir was honored to be featured at the American Choral Directors Association of Minnesota (ACDA-MN) Annual State Conference in 2017. Regular performances include concerts at Thanksgiving, Christmas, Easter and springtime. 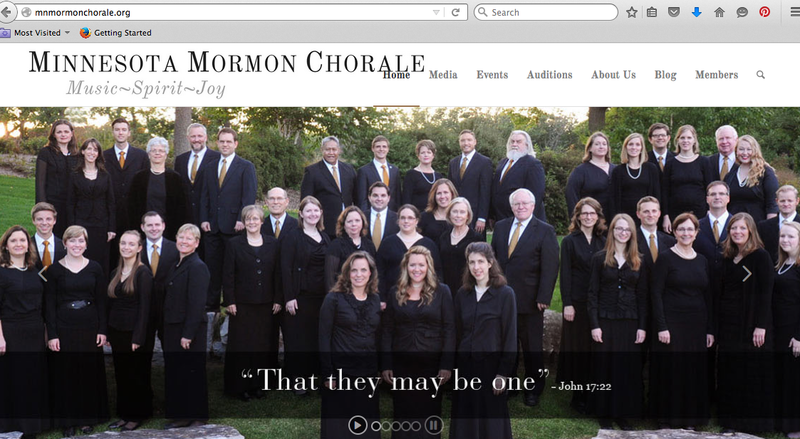 Hello friends and members of the MN Mormon Chorale & Orchestra!